Since those early days, Akron Auto Clinic has evolved into a full-service repair facility with an emphasis on good maintenance and dealership-type repairs. 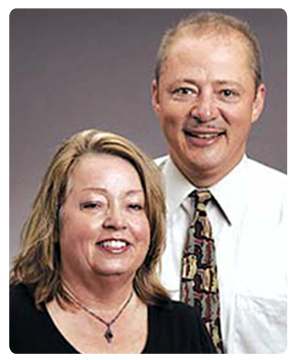 Fred and Marietta Franks started their small road-repair business by operating out of a van in 1979. Fred would repair no-starts or anything else that prevented cars from being driven to the shop, and Marietta would answer the phone. By January 6, 1982, they were able to conduct their business full time. They attribute their growth to their founding philosophy: Be honest, do what is best for the customer, give them a discount and make sure they are well-informed. "We still have customers that have been with us since we started. We have developed friends and good Relationships over the years and I think it is the thing that I really enjoy most about my work," says Fred, co-owner of Akron Auto Clinic. Marietta and Fred Franks work together. Marietta used to answer the phone with one baby on her hip and another two playing with their toys. Together, the family used to look out the window and watch Dad work on cars. "We've come along way since then but I'd go back to that in a heart beat," she says. "Our shop is state of the art, we track everything and we are in a constant state of improvement. We want to be the best and the only way to do that is keep moving forward with training, accountability, safety awareness / diagnostics, check lists, customer surveys, staff meetings, capitol improvement, employee recognition and the list goes on."